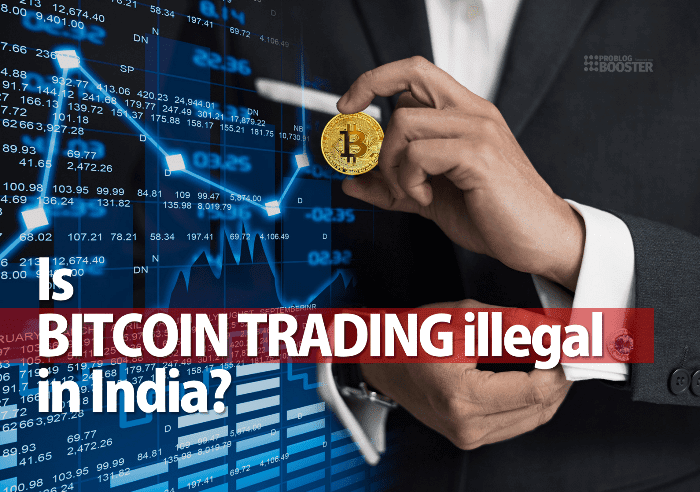 Is Bitcoin Trading Legal in India? Check out Why it is? Still, there is a lot of concern about bitcoin in many countries whether it is legal or illegal in particular for their countries including India. Some researches by nonprofit Bitcoin organizations & association are showing how bitcoin is legal in India even though there are few concerns about the rules related to cryptocurrency. Let's check out how Bitcoin regulations in India working out and what RBI had an action against Bitcoins. Also, if you haven’t read 'What is Bitcoin? How Does Bitcoin Work? Everything You Need to Know', I highly recommend checking it out before going any further. After a period of every few months, we get to listen that the Bitcoin is banned by a particular country. It was banned by Thailand in the year 2013. After a period of 4 years, that is in 2017 China had a ban on bitcoin. This is followed by a ban on bitcoin transactions in India by Reserve Bank Of India recently. But if you have a close look at the RBI circular you will find that they have not used the word "BAN" in the case of Bitcoin currency trading. They have just stopped the organizations under central bank to carry out further transactions with the businesses or companies that make use of bitcoin for their exchanges. This clearly suggests that the banks have to cease the exchange of cryptocurrency with Indian rupee, means no deposits, no withdrawals to exchange cryptocurrency with Indian rupee. That also indicates that a person can't buy or sell a bitcoin through the bank transaction. He can do it in cash and most importantly it should be outside India. This is the reality but it seems the people have supposed to be taken this news as a "ban on bitcoin". Along with this, the RBI has also warned about the problems and risks of cryptocurrencies. Some serious actions would be taken on illegal use of cryptocurrencies. Despite the fact, the traders are still interested to buy and sell cryptocurrencies. The reason being a notice period of three months issued to exchanges. Scientifically the RBI or Indian government can't ban bitcoin. As a result of which the Delhi High Court has stood against this circular blaming it as an "unconstitutional". The RBI has also been asked by the Delhi High Court to present the basics behind such restrictions on banks to the court. Therefore Bitcoin trading is neither legal nor illegal. The countries like China, the US has attempted to ban exchanges and mining of cryptocurrencies in 2017 which affected the value of bitcoin to drop for that short period of time only. The result of banning Indian stock exchanges will only lead to buying bitcoins from foreign sources as it is nearly impossible to trace buying, selling, trading of cryptocurrency. This definitely leads to a loss in taxes as the buyer will buy the cryptocurrency in cash. Why India not allowing Bitcoin trading & mining? The reason behind going against the bitcoin or any virtual currency is, since the Bitcoins are not issued, endorsed, or regulated by any central bank there is no hold of any government or any such authority. Even there is no law defining the use of bitcoin, but that doesn't mean it is legal in India. Considering the huge risk, there is still an uncertainty about the use of bitcoin in India. The only positive sign for future bitcoin use is people are preferring peer-to-peer payment option. It is true though, the governments across the world don't want to ban bitcoin as they think that doing so may choke up the financial innovations. It is difficult to define "currency" in India as there is no law indicating which institution or organization should create the currency. That makes a twist situation for cryptocurrencies like bitcoin. But things are quite different in other countries. They go through the guidelines made to create currency and issue bank notes. So it is still in "neither-nor" situation. No one has a specified answer to this question at the moment. No one knows where it will end in future. But right now, it is advisable to think 10 times to invest in bitcoins, since the situation is highly volatile and nobody has the control on buying or selling bitcoins, bitcoin trading nor on bitcoin minings. What do you think and what we need to do, please share your thoughts via the comment section shown below.